Did Our Ancestors View Our World As A Multidimensional Universe? We are all familiar with the make-up of our bodies on physical levels. We have a heart and lungs, a liver and pancreas, kidneys, muscles and bones. Our bodies are also made up of a series of glands. These include our thyroid and pituitary, which secrete hormones and regulate our bodily functions. All in all, it believed by many that we are merely made up a complex series of bio-chemical processes, period. This view of health, healing and medicine has been around for hundreds of years. It is based upon a Newtonian view of the world, which sees all life as a series of intricate mechanisms. According to this viewpoint, doctors are taught to conceptualize the body as simply a glorified machine. In turn, modern medicine endeavors to repair maladies of the body with a monkey wrench, a pair of pliers and some bailing twine. But Are We Just Glorified Machines? As we move into the new millennium, we are poised at a unique point in human history where science and religion are becoming one. With it, a new standard of health and medicine is beginning to unfold. This new model sees the body, not only as a series of organs, glands and biological processes, but as a network of complex subtle energies that interact with one another. This explanation of the life experience is called the Einsteinian paradigm. The Einsteinian paradigm corroborates many of the esoteric principals and spiritual beliefs that have been part of our world’s cultures for millennium. These traditions hypothesize that all things, including man, are made up of a vast array of interconnecting subtle energies and energetic fields. This perspective makes it easy for us to appreciate how we are all connected to one another and to everything that occupies our universe, both seen and unseen. This shift in viewpoint also makes it ease to comprehend that we are made up of more than just a physical body. Actually we are made up of 5 separate bodies. They include the physical body, the etheric body, the astral body, the mental and causal bodies. 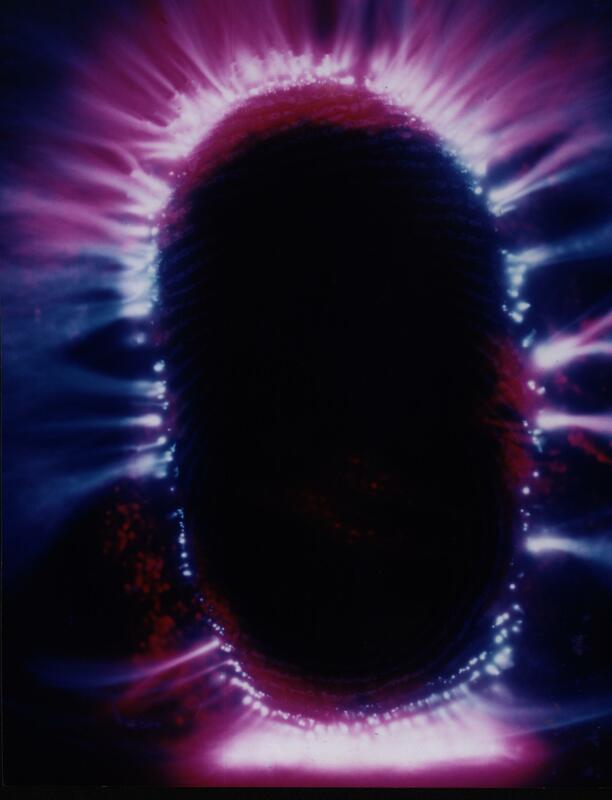 Existing at different vibratory rates or frequencies, each of these subtle bodies occupies the same time-space continuum as our current 3-dimensional world, but exist on subtle levels that are unseen by the naked or untrained eye. The casual body is the world of spirit and is associated with the world of pure energy. It is the place were our soul joins with the cosmic conscious, the universe, or feels one with God. It is from here that we, as humans, create our group conscious. The causal body is the highest subtle energy field. The mental body is the world of thoughts. It reflects our ability to think and construct images and ideas. It is where our ideas and imagination transition from the nothingness of the casual body and enter into the constructs of the conscious mind. The astral or emotional body expresses itself in our feelings and emotions. It reflects our ability to communicate our needs and desires. By taking the thoughts and ideas of the mental body, it is able to organize or establish patterns, with which we can later manifest. It is where our integrity and truth are derived. The expression of the etheric body is the physical world or world of matter. It is concerned with the processes and activities of energy, in and around the physical body and the manifestation onto the physical plane. The etheric body is responsible for the growth and repair of the physical body. It is also the subtle energy we tap into when we manifest our needs and desired onto the physical plane. Each of these subtle bodies interacts with us on physiological levels. 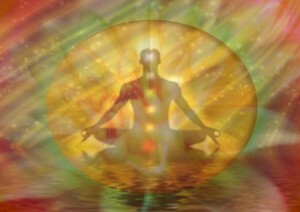 Energy or information flow between the subtle bodies via the “chakras” or energy centers. Like the physical body, there are seven major chakras in each of the subtle bodies. Chakras function similar to electrical transformers, stepping down energy from one frequency to another. Energy is exchanged via a series of tubes or vortexes from one level to another, with the chakra functioning as a sort of relay station. Incoming energy is slowed down until it reaches a vibration or frequency that our bodies can assimilate. In essence, the chakras regulate the flow of energy into our bodies. They provide this energy to us in a form in which our bodies can handle. The chakras of the mental body, for example, reduce the vibrational frequency of the energy it receives from the casual body. From here it is either disseminated into the mental body, or is passed on and slowed down even further as it travels on to layers of a slower vibratory rate. This continues through each of our subtle bodies, until it reaches the physical body, where a physiological or hormonal response occurs. When our energy is moving and flowing, we remain in a state of health and wellbeing. When our energy slows down, becomes stagnant or blocked, we manifest dis-ease. Dis-ease is the reaction to an imbalance in the flow of our life force energy. Imbalances in the energy of the mental body can manifest as narrow-mindedness, disrespect for life and nature, or materialism. Issues of the astral body manifest as anger, rage, phobias, depression, and hate. When they appear in the etheric body they can manifest in the form of a cold, back pain, arthritis, or cancer. Once an imbalance is experienced and takes hold in one of the subtle bodies it can then trickle down and manifest on a physical level. Dis-ease is typically first experienced on subtle energetic levels weeks, months or longer, before it is felt physically. With the dawn a new age in science, medicine and healing, we are now rediscovering our multidimensionality. Science is coming full circle, back to the thoughts and beliefs of our ancestors. They are discovering that we are “spirit”, living in a physical body. With this, they are also finding out that the key to wellness lie not only with diet, pills and exercise. It extends to our thoughts, feelings and emotions as well. They are learning that healing needs to occur on all levels, physically, mentally and emotionally. This is when true healing begins! Bestselling author, Dr. Rita Louise is the host of Just Energy Radio and the Founder of the Institute Of Applied Energetics. She is the author of the books The ET Chronicles, Avoiding The Cosmic 2X4, Dark Angels and The Power Within as well as hundreds of articles that have been published worldwide. She is also the producer of the videos iKon: Deconstructing The Archetypes Of The Ancients, The Truth About The Nephilim and Deceit, Lies & Deception: The Reptilian Agenda. Dr. Rita has appeared on radio and television and has spoken at conferences covering topics such as health and healing, ghosts, intuition, ancient mysteries and the paranormal. For more information about Dr. Rita please visit SoulHealer.com or listen to her live at JustEnergyRadio.com. Tagged ancient mystery, aura, chakra, chakras, healing, health, multidimentional, science, subtle energies, subtle energy, subtle energy field.